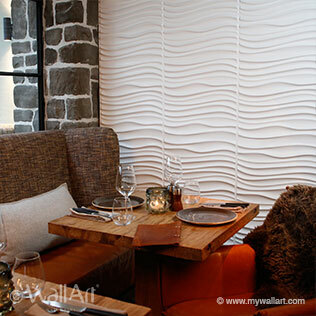 WallArt offers a collection of modern and contemporary textured wall designs. 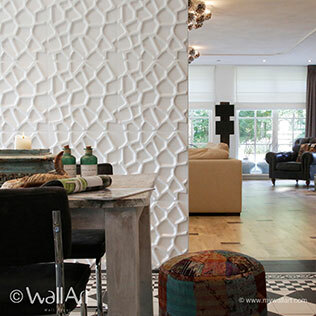 3D Wall Panels with 24 different designs, varying from basic or industrial to modern or romantic: Each design has its own look and creates an unique atmosphere. 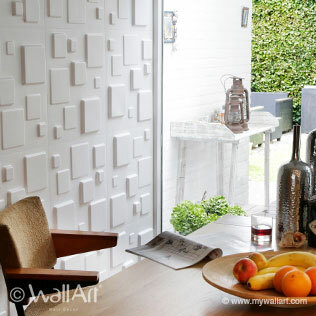 Together, the tiles from WallArt form a repeating pattern and after assembling the decorative wall panels you can paint or spray them in any desired colour. 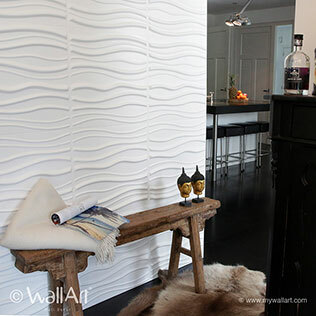 As the original brand, since 2010, WallArt 3D Wall Panels give an extra dimension to your walls and compliment just about any room in the house. Our wall panels are used for Residential & Commercial projects: Hotels, Office lobbies, Retail outlets, Restaurants, Trade show exhibits and more. 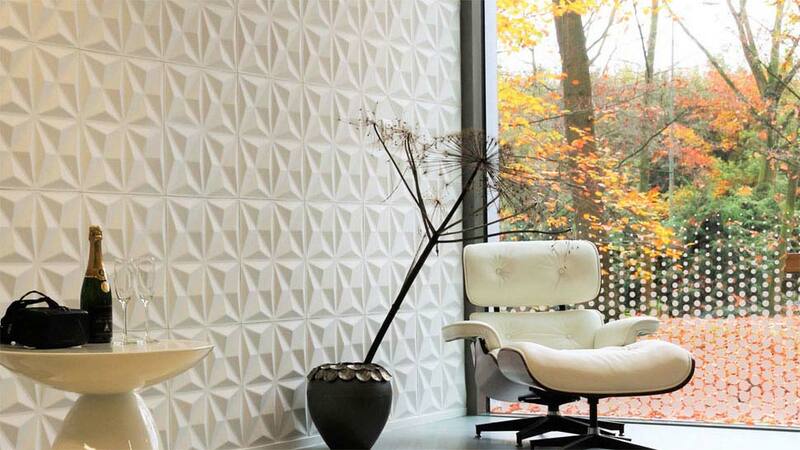 They make for beautiful and extravagant looking accent walls. No doubt about that! 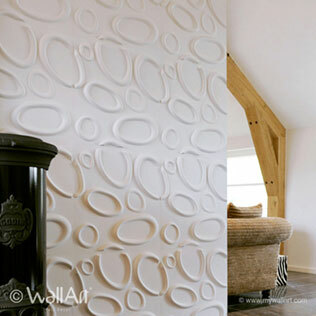 Have a look at some of our Mywallart 3D Wall Panels. 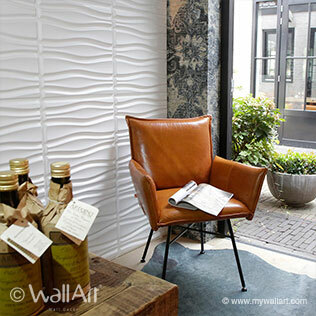 WallArt is a European Design Company with a sales office in Hong Kong and a professional production facility in China. 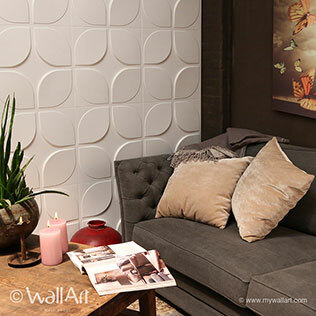 At this moment WallArt 3D Wall Panels is expanding their sales network and currently we are looking for E-Commerce partners, new Resellers and Distributors. Contact us now and start business today! Big Brother is a television reality game show. The show follows a group of houseguests living together 24 hours a day in the "Big Brother" house, isolated from the outside world. 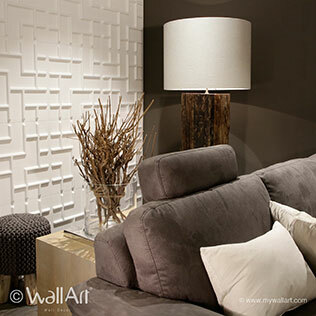 The 3D decorative wall panels from WallArt are an eyecatcher in the most popular TV Show in USA Big Brother. 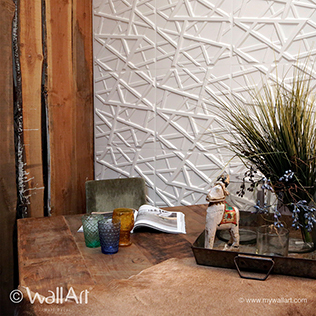 Big Brother exceeded even our wildest expectations with these magnificent walls made of our Gaps design. Simply breathtaking! The Tomorrow People is an American science fiction television series developed by Greg Berlanti that airs on The CW American television. The series follows a group of young people who possess psionic powers as the result of human evolution. 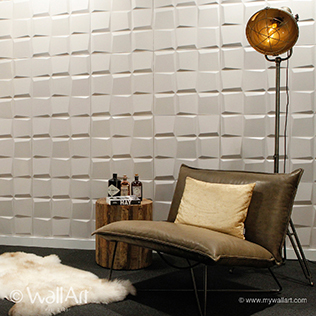 This TV Series on CW Television Networks they use in several scenes our 3D Wall Panels Bricks design ! In a commercial being aired on Italian TV, the former Inter Milan manager provides the voice over for an imaginary press conference. The Portuguese manager doesn't actually appear in the advert though - that's because he's 'the Transparent One'. 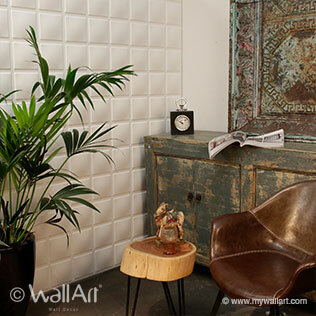 These lightweight 3D Wall Panels are handy and easy to install by means of the supplied tile spacers. 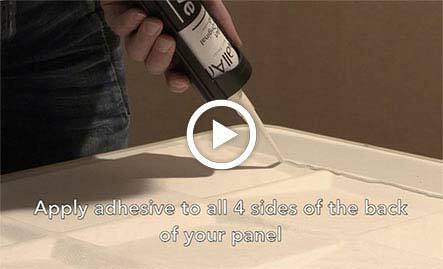 You can easily fix them with ‘WallArt Hybrid Adhesive’ or a similar adhesive to almost any surface. We will demonstrate it in our installation film. 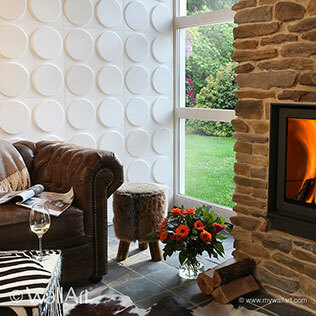 Welcome to the world of eco friendly 3d wall decoration! 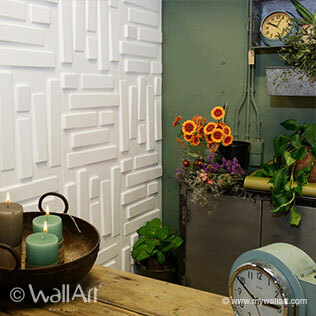 WallArt – The Original Brand – introduced this eco-friendly interior product in 2010. 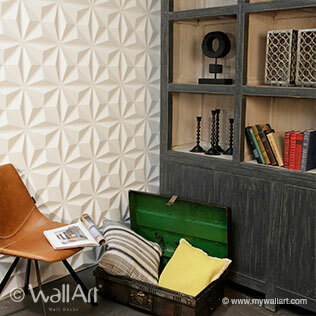 With the 3D Wall Panels and 3d wall tiles you will give an extra dimension to your walls! 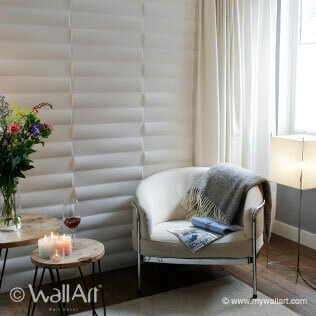 These 3d wall coverings are made of an eco friendly material and are easy to install, both DIY and professional use of this 3d wall covering has proven to create the looks of a beautiful 3d wall. WallArt wall decoration is original, contemporary and versatile and you turn your interior in a spectacular metamorphose, in less than no time. 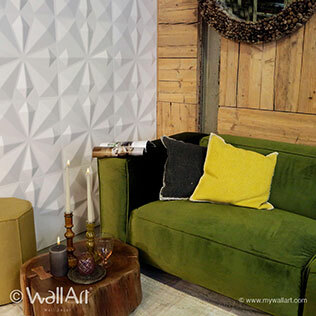 WallArt 3d wall panels are 50 x 50 cm, allow you to decorate an entire room from head to foot. Besides, you can add accents to a part of the wall. Whatever you choose: the result is stunning! 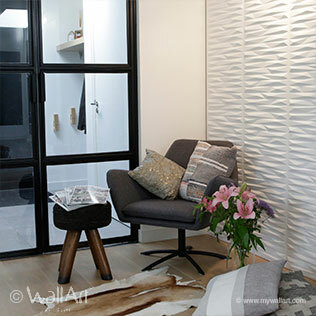 Take a look at the variation of all the 3D Wall Panels and our range of 3d wallpaper, you will be surprised to see so many stunning decorative wall panels ! 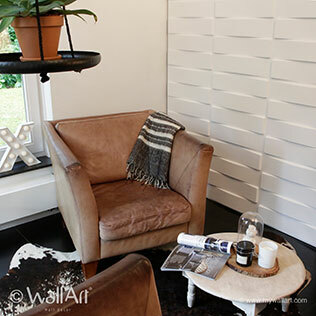 3D Plant Fibre Wall Panels are Highly durable and scratch resistant. 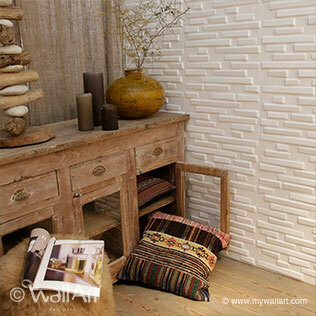 These WallArt 3D wall tiles offer great visual appeal and a beautiful, lustrous finish to any wall. There is no better design space than the effects produced by a rich and well-designed 3D wall panel lit by the best lighting. 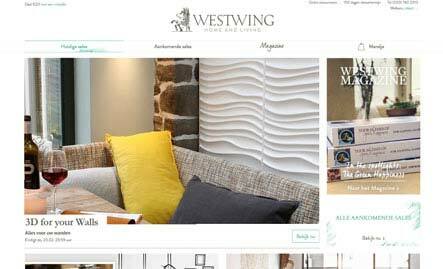 No matter if the wall panels or the lighting is of light or bold colors, the combination will always produce the atmosphere and the mood you would like to create. Some Highlights of WallArt 3d Wall Decor: * Suitable for both new construction and renovations * Markets include hospitality, healthcare, corporate, commercial, education etc. 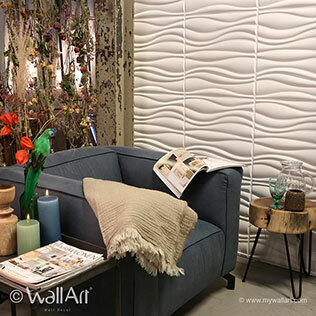 * Ideal to use for focal point, background wall cover or visual transition spaces * Modular design with ofcourse an extensive array of carving expressions * Precision fit fiber panels, moldings, reveals & trimming * Bespoke 3D plant fiber wall panel system.